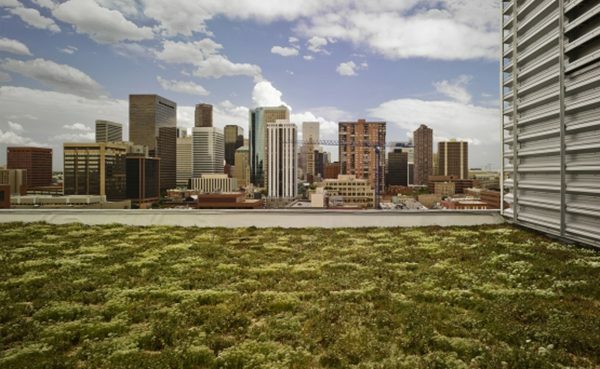 A task force charged with proposing changes to Denver’s voter-passed ordinance requiring rooftop vegetation, or “green roofs,” on large buildings in the city has made its final recommendations. 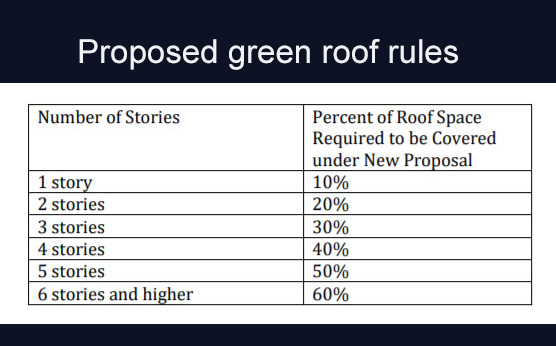 On Monday, city staff briefed a City Council committee on the Green Roofs Review Task Force’s recommendations. For starters, the task force suggested the installation of a green roof to be just one of the ways that building owners could comply with the law, in addition to options like having LEED Gold certification or paying money to support off-site green space. Voters approved the ordinance by 54-46 percent last November. Its passage prompted consternation from some in the real estate industry because of the cost of compliance, and even proponents of the ballot measure acknowledged the need for tweaks. The task force, convened by the city at the start of this year, had 24 volunteers – including city staff, two council members and individuals in the real estate industry. City staff needs to turn the task force’s recommendation into a draft ordinance, expected to go before the City Council later this year. Changes to the current ordinance would require approval by two-thirds of the council. On Monday, city staffers said their analysis shows that the task force’s recommendations would reduce the cost to building owners of complying with the ordinance. The ordinance pertains to buildings 25,000 square feet and larger. The task force proposed the percentage instead be dependent on how many floors the building has. In both cases, the percentage required would vary from 10 to 60 percent. The task force also recommended that the green space be allowed to be anywhere on the property, not just the building’s roof. Generally, under the current ordinance, the only way to avoid having to install a green roof is by installing rooftop solar panels. The task force recommended building owners also be allowed to choose from a number of other options that are seen as environmentally friendly. The recommended options include having the building certified as LEED Gold, or paying a to-be-determined fee — possibly in the range of $17 to $25 per square foot of required green space — to a fund that would be managed by the Denver Department of Public Health and Environment, and used on green space acquisition or related projects. 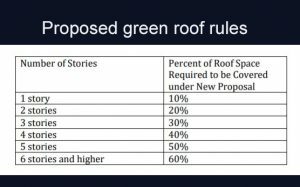 Although green roofs wouldn’t be required, the task force recommended that all new buildings, and all existing buildings getting a new roof, have a “cool roof” — one made of materials that have solar reflectance values. The task force recommended that campuses — defined as 10 or more acres — be allowed to comply with the ordinance on a campus basis, instead of a building-by-building basis. In other words, a building that goes beyond the requirements could make up for another one that falls short of them if they have the same owner and are part of a large complex. Anybody want to buy some green space? The task force also recommended the city look into creating a “Green Space Trading Program,” that gives credits to property owners installing more green space than required. The credits then could be sold to those unable to meet the requirements.